The Konica Minolta Bizhub 3320 is a sturdy machine that can print, copy, scan, and fax. It’s print speed is ideal for normal business setting and the TNP41 toner can last up to 10,000 pages at 5% coverage, making it one of the top printer choices for small business owners. Just like all other printers, the Bizhub 3320 can run into some hiccups when performing its duty. One of the issues is print speed slowing down at times when the machine has been in service for a while. Do not be worried, we’ve got a few solutions to make this printer working at full capacity again. The slower printing speed can happen especially when printing on a narrow media, this is printer’s automatic protection mechanism to prevent damage to the fuser. In addition, large print jobs can cause excessive printing time or elevated operating temperature. As a result, the printer will also slow down to prevent damage to the machine. First thing is to make sure the correct paper size loaded in the tray matches the fuser type. 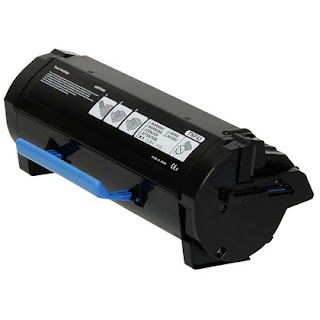 For instance, for a common A4-size paper, the corresponding fuser is a 220-volt fuser. Once the setting is correct, resend the print job. One other way is to replace the fuser then resend the print job. Disabling the Eco mode also helps in speeding up the process. From the printer’s control panel, choose Setting then select General Settings. Select Eco Mode or Quite Mode then select Off. There are other options to speed up the printing speed such as reducing the number of images or reducing the font size. Email us if the issue persists at sales@toner-spot.com and our technician will assist you. Meanwhile, enter our current coupon code SAVEMORE for 10% off your entire purchase at www.toner-spot.com. Free shipping applies for orders over $75 contiguous U.S. states. Compatible with Konica Minolta Bizhub 3320 printer model.